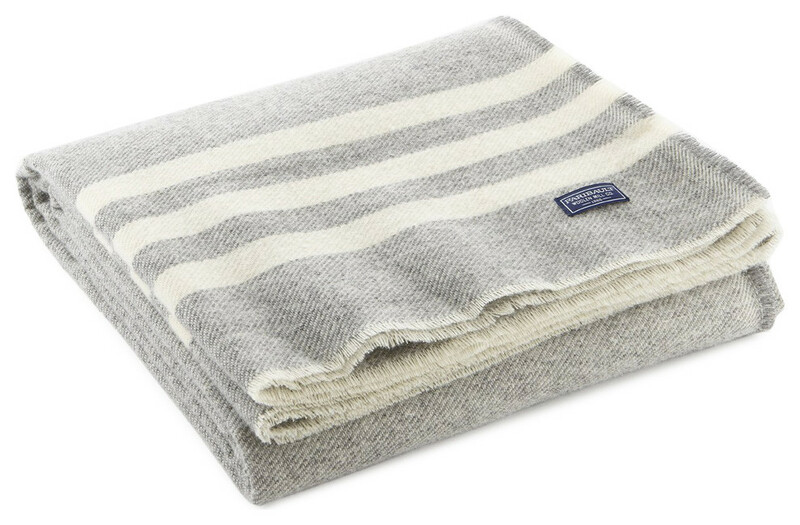 A modern take on our classic Revival blanket. That timeless pattern is now expressed in a palate of contemporary hues. The Trapper throw employs a raw-cut-leno edge. With the appearance of an unfinished edge, it's the natural felting of our wool that keeps the fibers properly in place. Made from 100% fluff-loomed fine merino wool. W 50" / D 72" / 1 lb.